When it comes to employee happiness and satisfaction, there’s no single “secret”. It’s important to keep in mind that not every team member is created alike. Hence what makes one “tick”, may not work for another. Yet, what we can be sure of is: with a culmination of many things, leaders can create an overall positive experience for their team members. Everyone craves gratitude and appreciation. Even a simple “thank-you” makes a difference. Employees who receive more recognition are more engaged, productive and customer service-focused. What’s more, leaders who give more praise experience lower rates of turnover. All of these factors culminate to greater results and higher revenues — a win-win for all involved! And, the best part about recognition is that it’s free! Can you think of a more cost-effective morale boost than that? More and more, employees want to feel their work makes an impact on the greater good. This could mean in the sense of the company as a whole or in terms of social change. Your company doesn’t necessarily need to have a philanthropic mission in order to make an impact. Your team could engage in a team-building day out, working in the community, or volunteering time for a local cause. Even small things, like reducing paper waste in the office or offering recycling bins, can make employees feel like they are making a difference. Uncertainty can cause anxiety and stress, which ultimately lead to low performance. One of the biggest points of unease for employees is lack of clear expectations. Leaders must set clear expectations for their team members. And a good way to start is by recognizing what each individual’s unique skills are, and tailoring their roles accordingly. It’s also important to articulate why their particular responsibilities are important in the first place, and how they support the whole team. Who doesn’t want to feel proud of where they spend nearly ¾ of their days? Being proud of where you work means identifying with the company and its culture. That could be translated into telling a friend about how great their team is, posting a team photo on their social media page, or wearing a company logo hat out on the weekends. Instilling pride in your employees starts with building a strong culture that people want to be a part of. Think of your company’s vision. How can you carry that vision out in each and every way? Think both big and small. 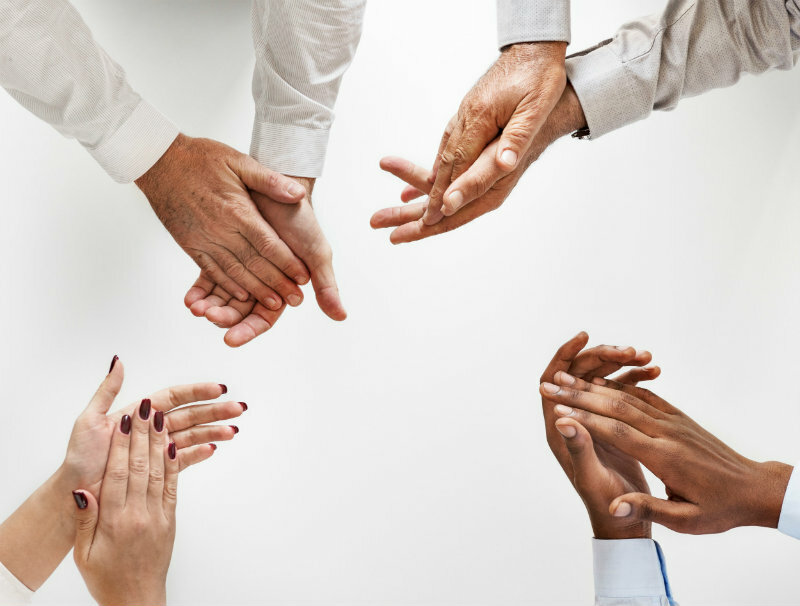 Appreciation and recognition both go a long way for any relationship, but especially in the workplace. We love feedback! What makes your employees happy? Did we miss something? Let us know in the comments below! Does your team have the four characteristics of happy employees? Find out how leaders can help their teams find happiness in the workplace.